Find out if you live or work near a floodplain. Visit our Floodplain Map page to view approximate floodplains. For evaluating risk and flood insurance options visit FEMA FloodSmart website. Is your emergency flood kit ready? Download a copy of the Red Cross Flood Safety checklist. 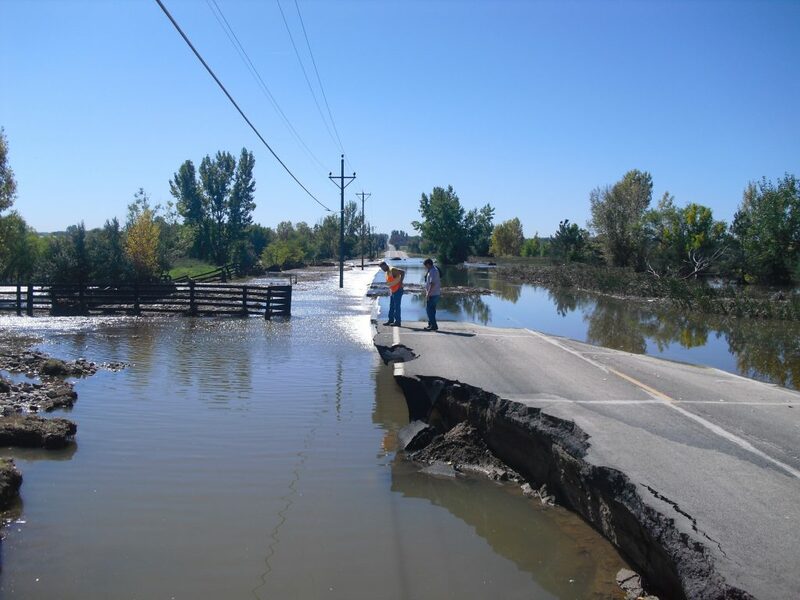 Find out what to do before, during and after a flood. Visit the National Weather Service’s flood safety page. Rainstorms in Denver are common throughout the spring and summer months. It’s important to remember that floods caused by rain can occur anywhere, with floodwaters rising gradually or flash floods striking suddenly. Water’s powerful force can easily overtake vehicles and people. UDFCD works with local governments to ensure the safety of their citizens by providing local officials with early notifications of heavy rain and flood threats in partnership with NOAA’s National Weather Service. Local officials act on these notifications according to their respective emergency plans and warn people in affected high risk areas when a flooding threat becomes more likely. The public can also access real-time rainfall, streamflow, and weather information from the ALERT System. ALERT data can also be retrieved for past events. UDFCD’s flash flood prediction program, F2P2, operates from April through September. An archive of forecast products and flood threat notifications is available on the F2P2 website. These handbooks provide information to assist in personal flood safety management. Colorado areas effected by a recent disaster.